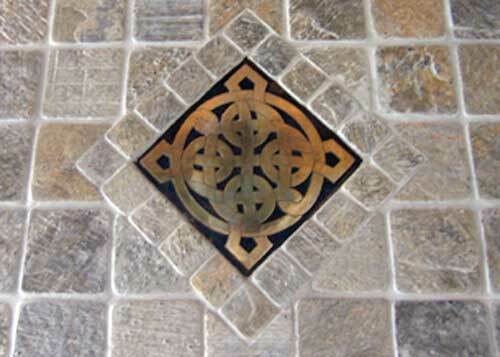 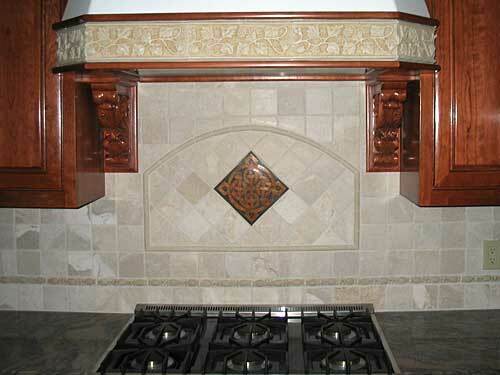 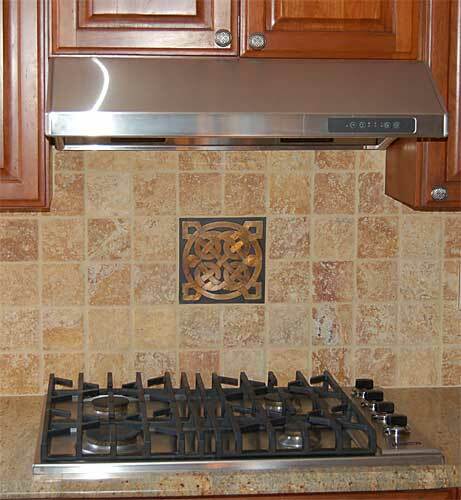 shown on this page are courtesy of some of the clients that have installed the Bronze Celtic tiles in their homes. 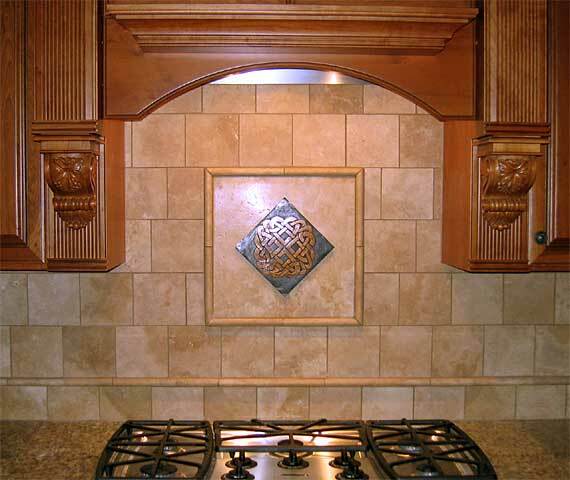 The picture above is courtesy of Devin Conner and shows how he applied an 8" Celtic Triple Knot Tile and four 4" commissioned bronze tiles to his kitchen back-splash area. 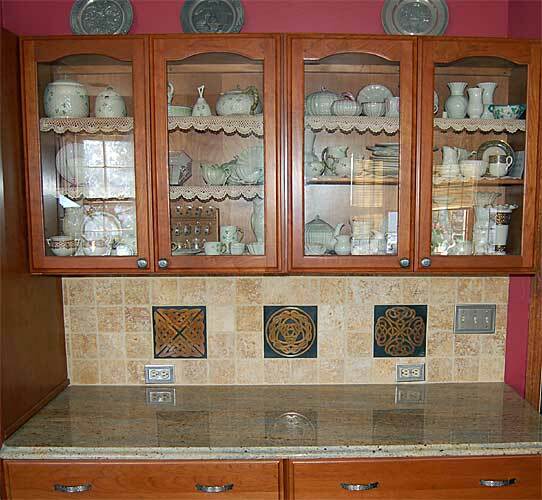 The pictures above and below are from the kitchen of Robert Small, where he set a Celtic Square Knot behind the stove above, and a Four Heart Knot, a Celtic Triple Knot, and a Butterfly Knot above a countertop. 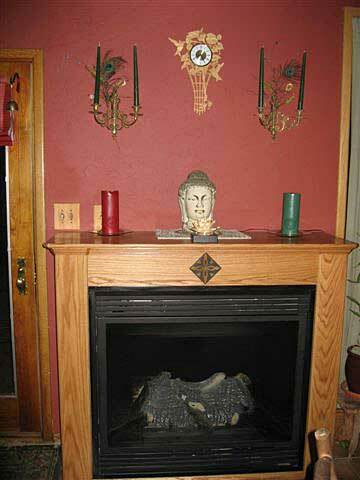 Sandy Goetz has incorporated a few of my tiles and bronzes into her home and here is a picture of a Devine tile mounted in the Oak mantle above her heater. 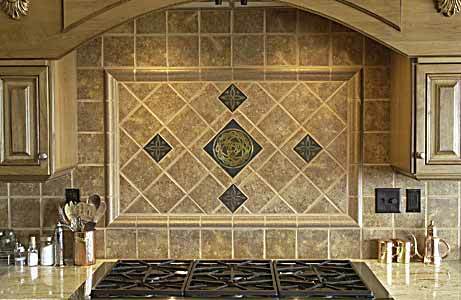 PLEASE NOTE: If you would like to have your tiles pictured here, let me know and I will send you instructions concerning the size and format I prefer for the pictures. 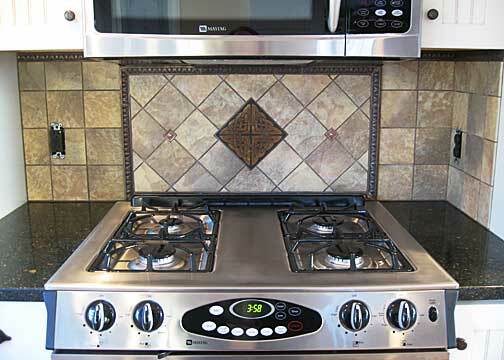 Please contact me at michael@enchantedcreek.com for further information.